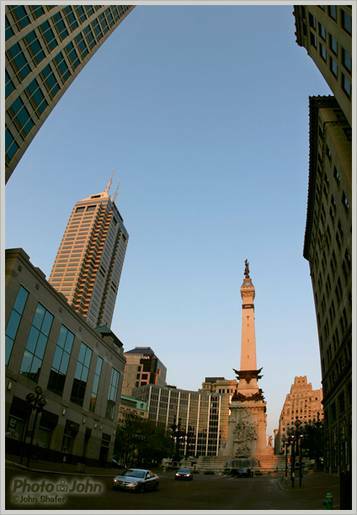 This is the center of downtown Indianapolis - where the annual CEDIA tradeshow is held. The call it the Circle City because it all radiates out from a circle with this monument in the center. It really is a very nice, old downtown. It's clean, friendly, compact, and I really enjoyed being there.